Unfortunately, Aaros was retired in 2013 due to physical issues. As a result, the Sheridan County Sheriff’s Office K-9 Program has been suspended until a new K-9 can be located and trained to serve our county once again. The Sheridan County Sheriff’s Office began it’s K-9 program in October, 2003. Since that time, the Sheriff’s Office K-9 has been used by law enforcement agencies and schools throughout Sheridan County for the continued prevention of illicit drug use in our county schools. Sgt. Mike Rogers has been the Sheriff’s Office K-9 Handler since the program’s inception. Since that time, Sgt. Rogers and his K-9 partners have been used throughout Sheridan County as an educational tool, an investigative aid, and for search operations. Our K-9 program was built with community involvement in mind. Arros & Sgt. Rogers were an integral part of our D.A.R.E. program in an effort to keep illegal drugs out of our schools. That will continue once a replacement has been found for Aaros. 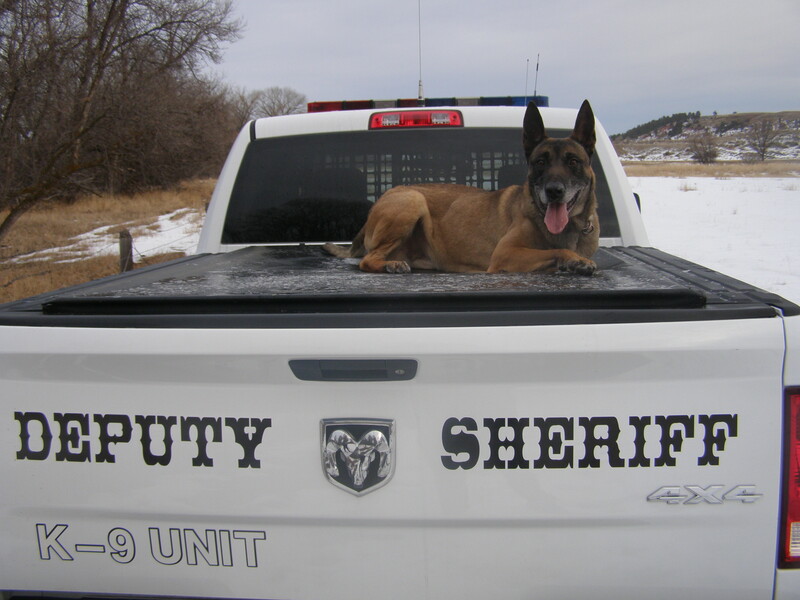 Arros was only the second K-9 employed by the Sheridan County Sheriff’s Office. Arros predecessor, Ronnie, retired prematurely in 2007 when it was discovered that Ronnie was suffering from a degenerative spinal disorder.